Harvard University Science Center, Lecture Hall A. 1 Oxford St, Cambridge. Sun., Apr. 17, 2016, 2 – 3:30 p.m. The Harvard Extension Environmental Club, in partnership with the Massachusetts Sierra Club and the Massachusetts Climate Action Network, proudly presents the documentary film series “Young Voices for the Planet,” which will be broadcast on 60 PBS stations nationwide in celebration of Earth Day 2016. 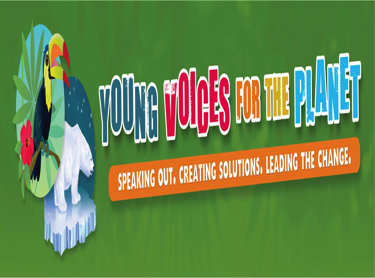 YVFP is a collection of inspirational short films that highlight success stories of youth leading the way toward climate solutions in their communities.